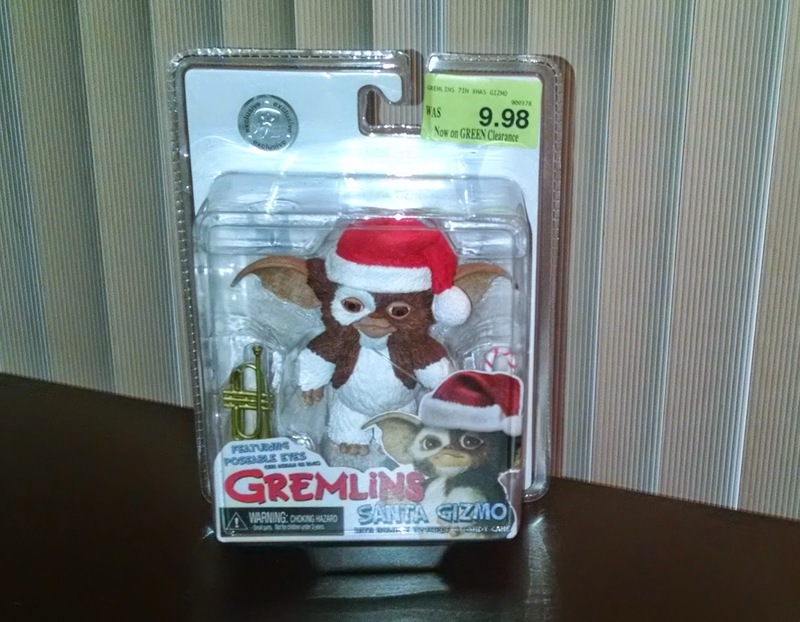 All Gremlins merchandise is Christmas-themed, but this one's doubly so. It's a Toys R' Us exclusive from a few years back. I wanted one for the blog, but it started around $17, which was quite a bit higher than I was willing to go. I was actually regretting not picking one up after they vanished from the shelves, though my patience was rewarded when one miraculously reappeared in March, clearanced for a measly $5.99. 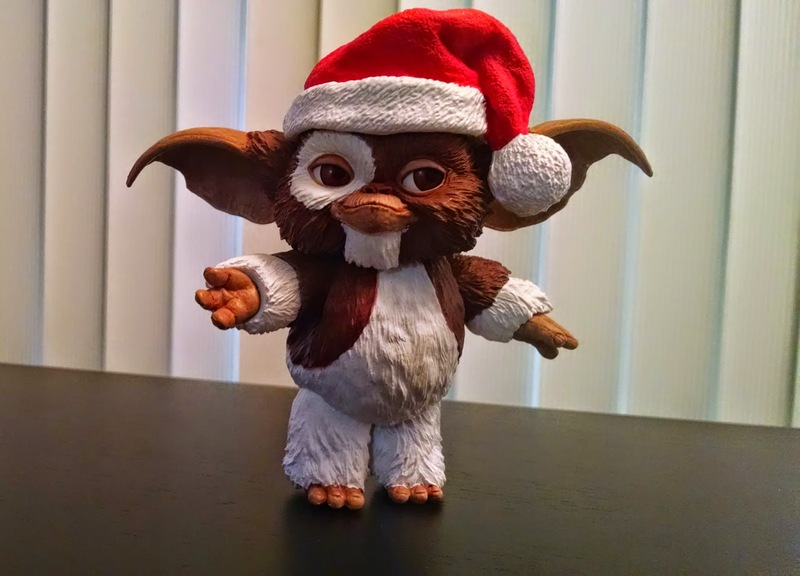 Gizmo appears in a Santa hat in the movie, though it's a full-sized one as opposed to this "Gizmo-sized" version. I don't think that would have worked as well visually, so I don't mind the change. The toy is about four inches tall. I'd say that's about quarter-scale, though that's just an estimate. The sculpt is fantastic, though the paint is a little sloppy in spots. It's still better than you see from most toy companies, but it's a long way from the most meticulously painted NECA figures I own. The articulation is impressive, though the character design limits its function. Gizmo has a ball-jointed head that gives you a hair more control than a cut would. His arms each feature three ball joints: one on the shoulder, one on the elbow, and one on the wrist. These are intricately engineered, though the stubby nature of the figure means you get a fairly limited range (the elbow and wrist joints are barely more than cuts. Still, the design conceals the joints well from almost any angle. The legs appear to be simple pin-and-swivel joints. You won't get a huge range out of them either, but they do allow you to balance the figure. My favorite joints are the ears, more ball-joints, but they give you some real options for bringing out the character's personality or conveying different emotional states. Last, the eyes move thanks to a trackball. The back of the package makes a point of bringing up this feature: I guess they thought it would be a selling point. This concept was big in collectible toys a few years ago, mainly with more expensive figures. It works alright here, though finding a look you like is almost more trouble than it's worth. The trackball is difficult to control and easy to hit unintentionally. Still, it's a fun gimmick. The hat isn't removable. I'm not entirely sure why they went that way, since I'd actually think it would have been cheaper for them to use an existing head sculpt and include it as an accessory. 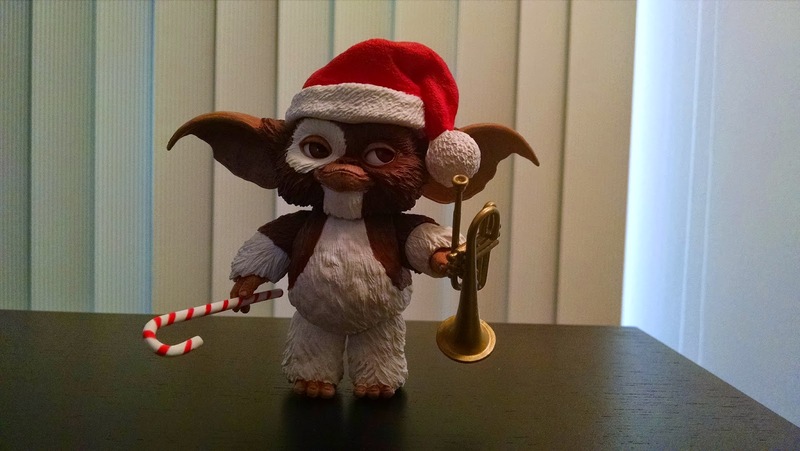 He does come with a pair of items, though: a candy cane and a trumpet. Both are fantastic for the scale. He can hold them alright, but don't expect him to be able to play the trumpet. This is fun, though I still think the original price was a bit absurd for something so small. 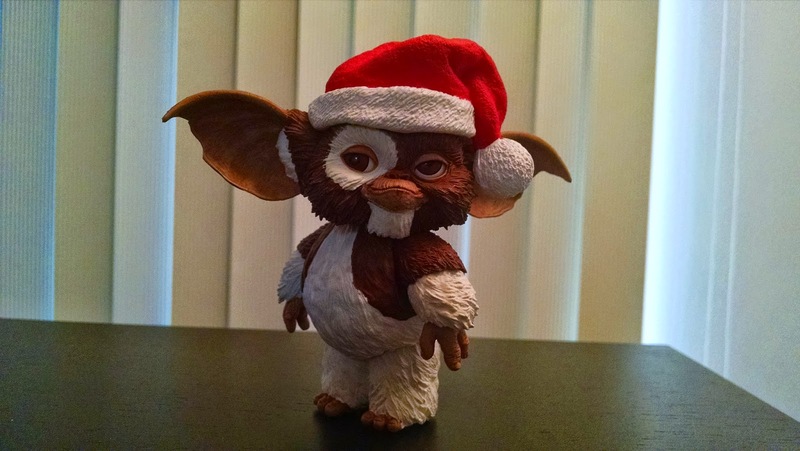 Don't get him wet in the snow and never feed him after midnight.